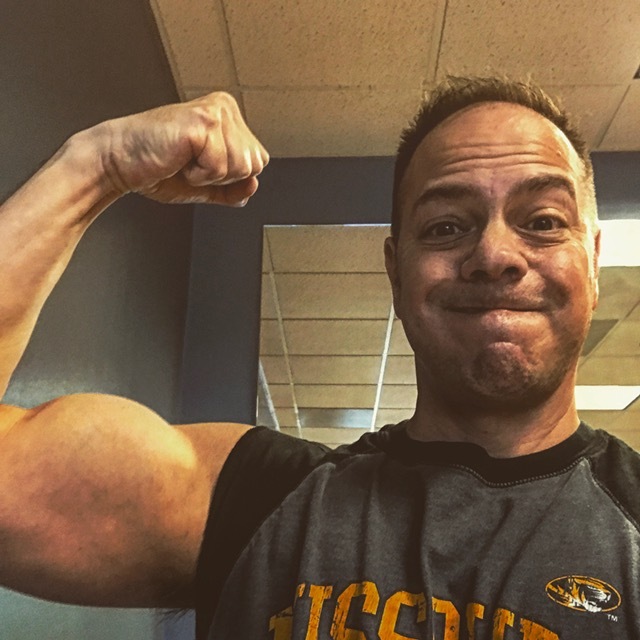 Posted on September 3, 2018 October 14, 2018 by Mat A.
I recently wrote an article titled “Will Drinking Water Help You Lose Weight”. It’s pretty good, that’s why I included the link here. So you can go and read it. Because you should. Anyway, it’s no surprise that if you are conscious of how you drink water it can in fact help you lose weight. 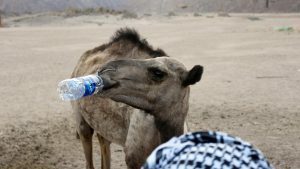 That got me thinking, it is possible to drink too much water? If it’s possible then what are the symptoms of drinking too much water? I mean it can’t be bad right? I lose track of how much water I put away in a day but it’s A LOT. We all know that drinking water is good for your body in a lot of ways. Our bodies are composed of 60% water and our blood is 90%water. Water is absolutely critical to good kidney function and many other bodily functions. When you are consistently dehydrated not only is it bad for your skin (your bodies largest organ) but it also decreases how well your body functions. Think about this. Your body can go about 3 weeks with food, only about 3 days without water. That pretty much says it all. Water helps your body by lubricating your joints and helping form mucus and saliva. It keeps your skin healthy and move oxygen through your bloodstream. Water helps regulate your body temperature and move waste out of you. It prevents kidney damage and moves nutrients through your body. Water also helps you maintain your blood pressure and boosts performance during exercise. Even though we always hear how we should drink more water, you can actually drink too much. Drinking too much water can lead to water intoxication (wild name right?). This is also known as hyponatremia. What happens in hyponatremia is the inside of the cells flood due to abnormally low sodium levels in your blood stream. In extreme cases water intoxication can lead to seriously debilitating health issues such as coma, seizures, and sometimes even death. Yikes! We’ve been told for years that we should drink eight 8 ounce glasses water per day and that should take care of business. Your kidneys can’t get rid of more than 27 – 33 ounces of water per hour. Therefore it makes sense to not drink more than 27-33 ounces of water per hour. I’ve been incredibly thirsty after a long day in of yard work in the sun. I know there have been times when I’ve put down over 30 ounces in an hour and felt funny afterwards. Look, I drink as much water as anybody I know. I am on a loop of walking to the bathroom about every 60-90 minutes when I am at work. That being said I don’t think I’ve ever crossed the line at work of drinking too much water. We will look at the symptoms of drinking too much water in the next section. 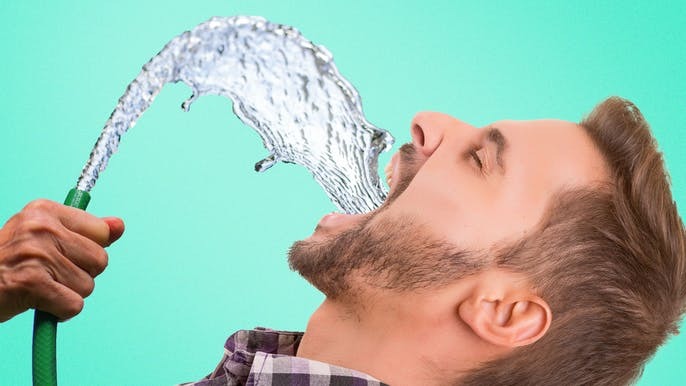 Here are some signs you might drink too much water. You always have a water bottle in your hand. Like always. You drink even when you aren’t thirsty. As in you typically do this. Which I know I am guilty of. Your goal is to always drink until your urine is clear. I mean usually being dedicated is a good thing but this may be too much. You go to the bathroom constantly. And guess why? Because you chug water all day long! Your sleeping is broken up by frequent runs to the bathroom. When you drink too much water too quickly your cells swell and your sodium levels in your blood get too diluted. When your sodium levels get too low you don’t feel very good. Interestingly the signs of being overhydrated are very similar to dehydration. You feel nauseous and might vomit. When you drink too much water your kidneys aren’t able to process it fast enough and water will collect in your body. This can cause you to have diarrhea, feel nauseous and vomit. Fun. You have throbbing headaches more than you should. 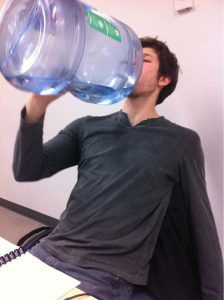 When you drink too much water the salt concentration in your blood is reduced, causing your cells and organs to swell. When this happens your brain actually swells, pressing against your skull and causing a throbbing headache. Your muscles cramp and you feel weak. If you drink too much water your electrolytes drop. When you have low electrolyte levels one of the signs is muscle cramping. You can also counteract this by drinking a few glasses of coconut water a day which is chalk full of electrolytes. Your lips, feet, or hands are discolored or swollen. Some of the signs of hyponatremia is swelling or discoloration of hands, lips, or feet. Which would make sense since your cells swell when you drink too much water. This is a big external sign of drinking too much water. You feel tired and fatigued a lot. When you drink too much water your kidneys are constantly working to flush the excess water out of your body. This creates a lot of stress on the rest of your body that can make you feel worn out and fatigued. If you are drinking water all the time and are feeling tired as well, they may be tied together. symptoms of drinking too much water. I suggest keeping a water cup or mug at home and at work. Get a fresh glass of water when you get up in the morning when you will be around the house. Do the same thing at work. Refill it a few times and you should be good. Simple Modern Wave Water Bottle – These seem to be all the rage these days. Probably a good reason (like great marketing). Yeti Rambler 26oz. Vacuum Insulated Stainless Steel Bottle With Cap – This thing rocks, I’ve got one. CamelBak Eddy Water Bottle, 25 oz. – Another solid choice. There you have it, the symptoms of drinking too much water. It’s pretty wild to think you can drink too much water but it’s true. Remember to drink enough to keep your body running smooth but don’t become obsessed to the point of drinking too much. Like so many things in life, it’s possible to get too much of a good thing. I naturally drink a lot of water, but when I read an article about drinking a certain amount of it a day (I don’t remember the exact amount), I started feeling bad. In my opinion it’s better to drink as much as your body needs. And the only think we can do is have a bottle of water near by whenever we are. The amount of water we drink depends a lot from the season of we year, we can’t pretend to drink the same amount in a hot summer day and in a winter day. Absolutely agree! If we pay attention to our bodies we won’t have a hard time getting enough water. Thanks for chiming in!